Strip to the waist, turn to face magnetic north, don your most extravagant hat, adjust your stereo's volume upwards into the realm of violence and prepare to melt your face off. 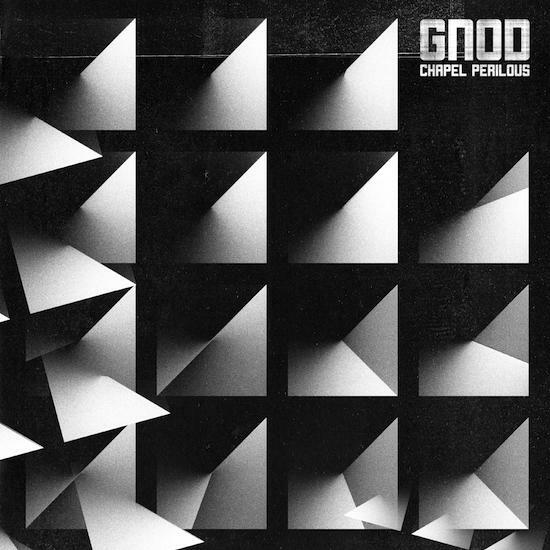 Anglo Irish Portuguese exploratory outfit GNOD have just announced the release of a new album called Chapel Perilous, which will be released by Rocket Recordings on May 4, and you can listen to the lead track, 'Donovan's Daughters' above. Featuring a pulverising drop at the ten minute mark that should be transmitted to the entire globe for the enheavyment of all peoplekind and the most justifiable and well-earned 'Space Is Deep'-style key change since... well... 'Space Is Deep', the always mutating and evolving GNOD are, on the evidence of this track, in full on black hole worshiping biker gang in dub, Godflesh meets Skullflower meets the Scientist meets Sam Neil in Event Horizon mode. The forthcoming album Chapel Perilous takes its name from the philosophically cosmic writing of Cosmic Trigger author, Robert Anton Wilson and is a follow up to their excellently caustic Just Say No The Psycho Right-Wing Capitalist Fascist Industrial Death Machine and stormingly heavy Radar Men From The Moon collaboration and trepanation concept album, Temple Ov BBV from last year.